Their recent graduation marked the culmination of 22 weeks of training. Andrew C. Mattern, 28, is a Vigo County and a graduate of Terre Haute South Vigo High School. After having graduated high school he attended Indiana University-Purdue University Indianapolis. Prior to his graduation from the ISP Recruit Academy, Mattern was a deputy with the Sullivan County Sheriff’s Department. Gerald D. Stump, 27, is a Vigo County native, a graduate of Terre Haute South Vigo High School and a graduate of Indiana State University. Prior to graduating from the ISP Recruit Academy, Stump was a motor carrier inspector with the Indiana State Police. William R. Clark, 30, is a Sullivan County native and a graduate of Sullivan High School. Prior to graduating from the ISP Recruit Academy, Clark was a co-owner/operator of a family-owned construction company. 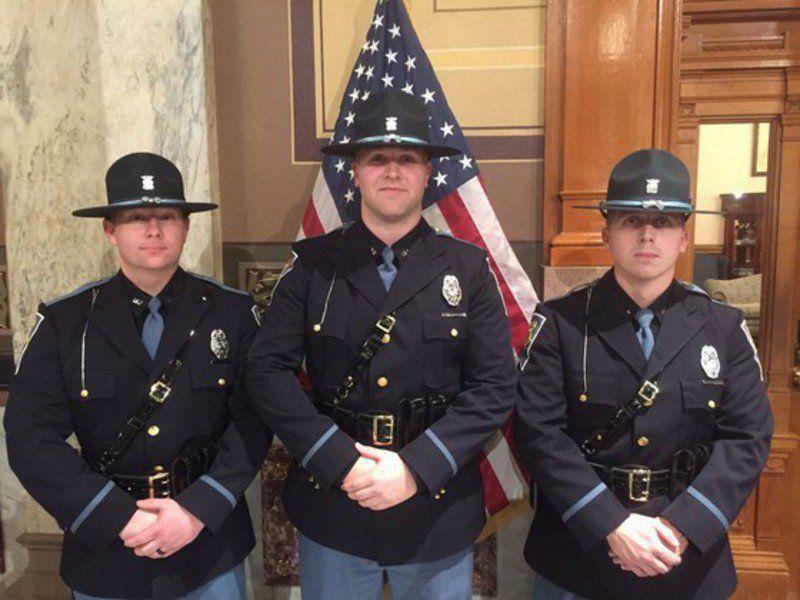 The three new troopers will continue their training for the next three months as part of the ISP Field Training Program. Upon successful completion, they will be issued their own squad cars and be assigned solo patrol responsibilities.